When you step into this dental practice, suddenly you have reached the pinnacle of where gentle dentistry and expert dental care come together. 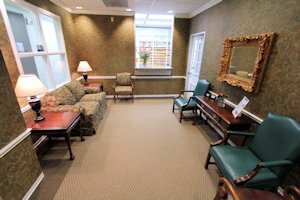 This is where general, family and cosmetic dentistry clientele come to get their dental care advice, relax and entrust their teeth to the services of this highly regarded dental care provider, Dr. Mark Mann and his staff. Are you a nervous dental patient? With Dr. Mann’s oral sedation services, you can have extensive cosmetic dental treatment completed in just a few visits and now, these treatments are affordable with no interest payment plans. Enjoy cosmetic dental treatment procedures that are gentle and calming. If you are apprehensive and need a little extra TLC, Dr. Mann uses dental sedation to get you through the entire appointment relaxed and at ease. He has revolutionized the way patients experience their dental care with easy and trouble-free visits!